It would be charitable to describe 2011 as a mixed year. In truth, personally, it’s been this side of bad. And as I’ve complained countless times, I read less and blogged less as a result. However, wonderful things happened when I did show up as a blogger. Highlights of the year at Kinna Reads include 21 Days/21 Poems in April to celebrate National (US) Poetry Month and Ghanaian Literature Week. I thank my readers for sticking with me through all my inconsistencies. I’m grateful also for my particular corner of the book blogging community who have shown such support for me and this blog. The Cry of Winnie Mandela by Njabulo Ndebele – I’ll probably read this book every year until I croak; this was my fourth reading. It helps that it is a novella. Ndebele’s exploration of womanhood and contemporary South African society is a wonder to me. The Memory of Love by Aminatta Forna – I could not write about this book after I first read it. I’m opening up a bit now. There will be more commentary in the new year. We Killed Mangy-Dog and Other Mozambican Stories by Luis Honwana – A rediscovery after 15 years. These stories of colonial Mozambique are exceptional. Death in Spring by Merce Rodoreda – A haunting tale. I was anxious to read this book after her other novel, The Time of the Doves, blew me away last year. Rodoreda is now a member of my personal canon. Mr Happy and the Hammer of God by Martin Egblewogbe – A fresh new voice in Ghanaian literature. Fly, Away, Peter by David Malouf – Arguably the best Malouf book that I’ve read. I really don’t know how he does it. The characterization of Jim Sadler is magnificent. A Distant View of a Minaret by Alifa Rifaat – a most astonishing collection of short stories about women in contemporary Egyptian society. Wow. I set myself a number of reading goals at the beginning of 2011 which I failed to achieve. I’ll renew those goals and probably add to them for 2012. I madly dashed to 100 short stories so I have completed the two reading challenges that I signed up for. I will participate in more challenges next year. I’m feeling optimistic! The year is ending well. Happy New Year everyone. Enjoy your reading in 2012. I’m sorry to hear that you had a rough year but I hope that this year is better for you in all ways. I wish you especially all the best in your reading 🙂 All of the books that you list as favorites sound really great, will have to try some of them myself. Thank you, Amy. This year is looking up already and my reading/blogging has improved somewhat. I wish you all the best as well. Happy New Year, Alex. 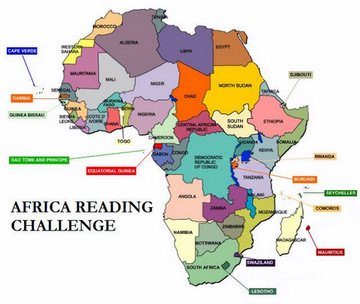 Yes, I will host the Africa reading Challenge. I’ve been a bit swamped but I plan on announcing it this coming Sunday. Looking forward to your participation. I didn’t get nearly read what I had hoped to in 2011 either. At least we can start again in 2012! Happy New Year and excellent reading for 2012! Since I really enjoyed the relatively few books that I read, it made me wish that I could read more. Funny that! A better reading year for us all in 2012. Not my most stellar year either Kinna … I read only about 2/3 of what I read in 2010. Rather frustrating with so much out there that I want to read. So glad you loved Fly away Peter … it’s a special book isn’t it? It is a very special book. Let’s hope for better reading this year. Great 2011, loved the interview with Nii & hopefully a wonderful 2012. The interview with Nii Ayikwei Parkes is a highlight of the year. A good year to you too. I’m sure 2012 will be great. Are you oragnising a new 100 shots of short stories? I look forward to another Ghanaian Literature Week. 2012 better be great. I might have to move up the dates on Ghana Lit Week because of elections in December. Will see. Perhaps I can interest you in Rodereda’s books, Stu? hint, hint. I’m looking forward to another edition of Ghana Lit Week too.